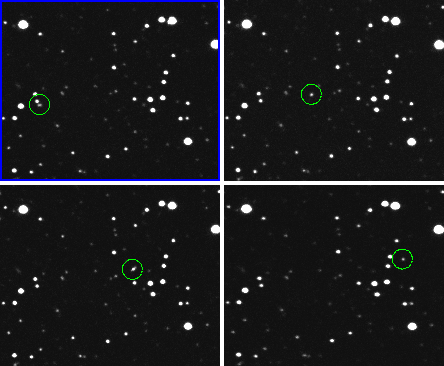 Newly-discovered asteroid 2012 KT42 is flying past Earth today (May 29th) only ~14,000 km above the planet's surface. This means 2012 KT42 will actually fly inside the Clark Belt of geosynchronous satellites. It is expected to pass by earth at 12.37 p.m. Indian Standard Time (7.07 UTC). 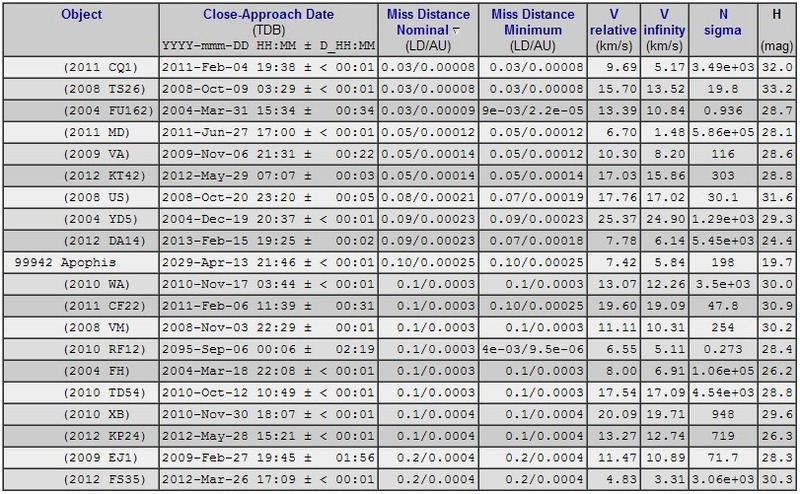 The 3- to 10-meter wide asteroid ranks # 6 on the top 20 list of closest-approachers to Earth. Is there any danger of Collision to earth ? According to the asteroid's orbit, there is no danger of a collision. According to Andrew Lowe pointed out that on May 29 at about 10:10 UT, 2012 KT42 the minimum geocentric elongation from the center of the sun will be 0.1 degrees, so given the parallax there will be a transit across the sun, centered in southern Asia. If the diameter is about 5m, then the object could be only about 0.006" across against the solar disk. 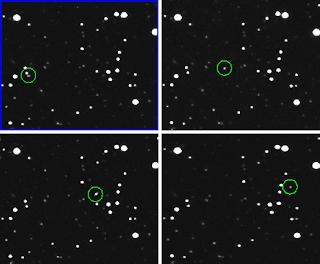 Here sequence of images above by Alex Gibbs from the Catalina Sky Survey, who made the discovery of 2012 KT42 with the 1.5 meter telescope on Mt. Lemmon, Arizona.